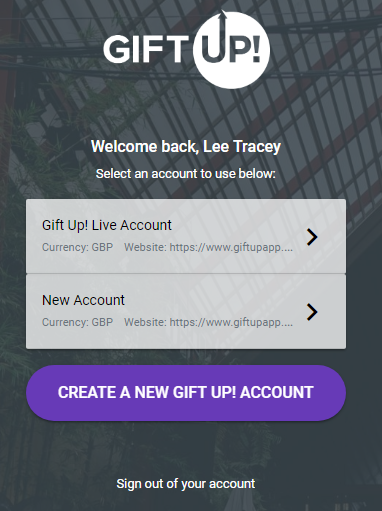 Can I have multiple Gift Up accounts? Yes you can. This is very useful if you have (or manage) multiple websites and you want to offer different products/services/gift card designs for that website. Or perhaps you want a separate account for testing/integration purposes. 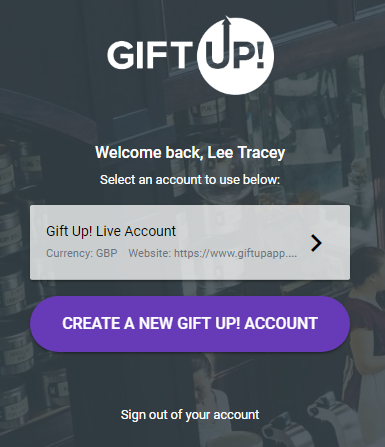 The good news is that you can have a single login to Gift Up! but create multiple accounts. Click "Create new Gift Up! account"